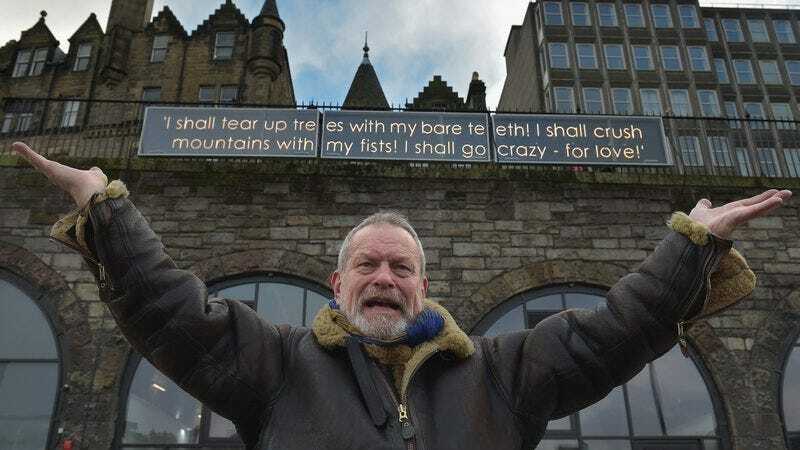 Everybody knock on wood, or cross your fingers, or perform the superstitious good-luck ritual of your choice, because Terry Gilliam has defied whatever cosmic forces were blocking him from completing his multi-decade quest to make The Man Who Killed Don Quixote. The film has wrapped principal photography in Spain and Portugal, according to Variety. The film has been in the works since 1989, when Gilliam first conceived the project, and has gone through multiple lead actors and multiple failed attempts to shoot the movie, one of which is documented in 2002’s Lost In La Mancha. This time around, Adam Driver, Stellan Skarsgård, and Jonathan Pryce star, with a script by Gilliam and his Fear And Loathing In Las Vegas co-conspirator Tony Grisoni.